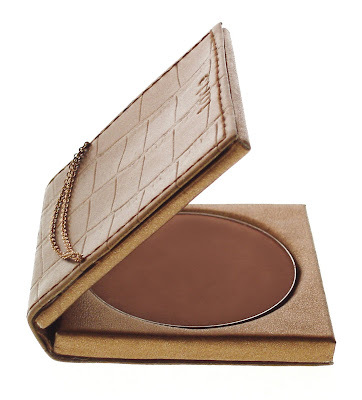 A strong eye shadow (Tarte Kalalau Trail eyeshadow duo) ; you should shade the entire eye lid with the gold shadow first, and use the chocolate brown shade to create a "smokey effect along the crease of the eye. You can choose just to have a completely gold eye, if you don't want to be as dramatic. 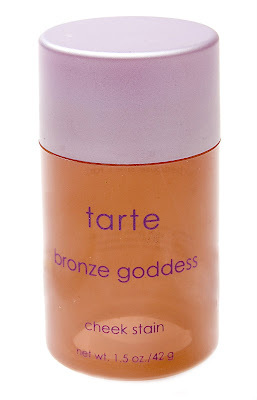 To intensify your cheek bones , glide on a bit of cheek stain ( Tarte Bronze Goddess cheek stain) this should really help with that golden "dewy" look that makes you look like you just come back from jet - setting across the Mediterranean. I just love the fact that packaging for the shadows/ powders looks like accessories!! I just love it!!! 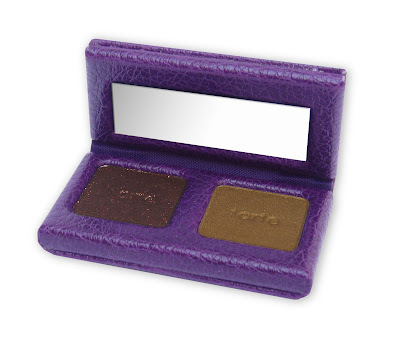 for more Tarte goodies, please check out www.tartecosmetics.com .